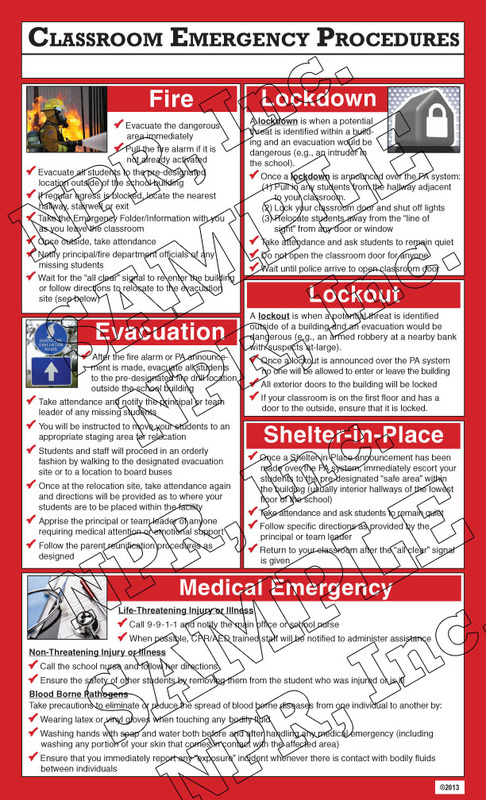 Classroom Emergency Procedures Poster: Classroom Size - National Professional Resources, Inc. Ever since the tragedy at Columbine High School in the late 1990’s, school districts have been committed to improving their emergency response and preparedness. More recently, the mass shooting at Sandy Hook Elementary School served as a horrific reminder of the necessity for schools to have clear and comprehensive emergency safety procedures to respond to shooting emergencies. Equally important is having procedures in place to deal with other types of emergency situations, including chemical/environmental dangers and severe weather emergencies, such as the tornado that destroyed two elementary schools in Oklahoma or the recent California wildfires that have prompted emergency school evacuations. Preparedness requires that schools not only identify emergency procedures, but also run safety drills in which students and school staff must run through the procedures as if they were facing an actual emergency. Such drills ensure that all staff and students know what to do in various emergency situations. Your order includes twenty (20) identical copies of the 10.5" x 17.5" Classroom Emergency Procedures poster. 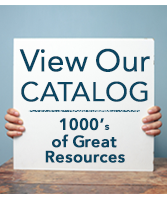 Customization Available: Posters can be customized with school/district names and school-specific procedures. Pricing and order minimums are dependent upon customizations desired. For more information, call 1-800-453-7461.